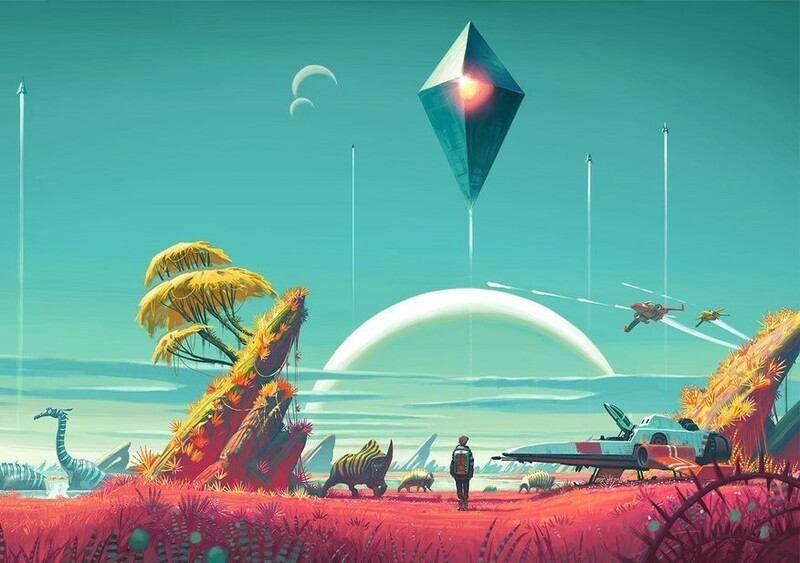 Home > Opinion > We need to evolve the discussion about games beyond "how much fun is it to press buttons"
We need to evolve the discussion about games beyond "how much fun is it to press buttons"
One of the things that regularly confounds and frustrates me about games is just how limited the conversations around them are. Here we have an emergent art form - one that has proven over and over again that, yes, it is an art form; and yet, once we put the controller down and start talking about the games we play, we tend to narrow things down into the most simple and unartful criteria. By that I mean, of course, that we, as a collective, are very good at discussing games in terms of the “fun” they provide. Critics write entire reviews about how entertaining the control system is, and there are entire threads dedicated to debates over whether 30fps is appropriate for a game when it’s now relatively easy to achieve 60fps. We know what makes a well-balanced multiplayer map; people have encyclopedic knowledge of the “tiers” of competitiveness that their favourite characters belong to in MOBAs and fighting games. Basically, we’re very good at talking about how much fun it is to press buttons in games, and in many cases that works just fine. Many games are made with the exclusive purpose of providing thoughtless entertainment, and to try and analyse them against any other criteria would be a waste of energy and time. "As far as story goes, while Nioh isn't quite as sparse as the Souls series it favors minimalist storytelling techniques. Some missions have cut-scenes at the beginning and end; others have voice-over playing over animation. You find bits and pieces of lore in 'Amrita' memories. The story is fine, but nothing special. I won't give any of its details away. Suffice to say, you're an Englishman in a demonic (or 'Yokai') ridden Japan on a mysterious quest that leads you into battle after brutal battle." It is quite incorrect to suggest that Nioh (or the Souls) games are “minimalist”. These games have subtle narratives, yes, in that they don’t feature hour-long cutscenes and rely heavily on players piecing together bits of lore for themselves, but in both cases, these games weave rich tapestries of narrative together. 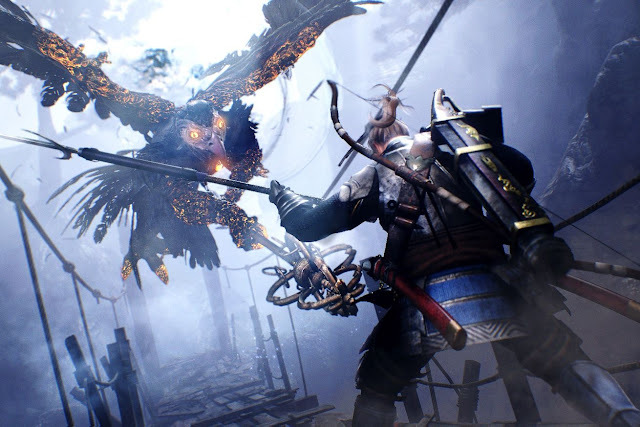 Or to put it another way, it does not “suffice” to say you’re an Englishman in a demonic-ridden Japan in Nioh; there’s a great deal more historical and cultural context behind that. Nioh isn’t even the tip of the iceberg. To this day I get people upset at me over my review of No Man’s Sky. Where others found it ‘disappointing’ as it didn’t fit with their idea of what features and gameplay elements were in the game and found it didn’t have a 'good story', I saw instead a work that explored existential ideas in great depth, and harboured, in fact, a very 'good story' for it. NieR has managed to become a 'cult favourite', but if you were to go back to the game’s reviews, very few of them treat the game’s narrative or themes with any degree of complexity. It’s always comments on the superficial and obvious: the art, the music, the button pressing. As a result it reviewed poorly, and then has been "rediscovered" as people who do care about narrative depth have slowly discovered it in the years since. There’s more to games than that. Even games that don’t have narrative at all have a wealth of context behind them that needs to be considered as part of the analysis in order for it to properly reflect the game. To go back to my favourite subject, Hatsune Miku: the Miku games may not have much of a narrative at all, but Miku herself has such a wide range of cultural, social, and even economic connotations, and it is those that help to inform her character and, by extension, her games. It’s this understanding of subtext, as well as the ability to identify and analyse it, that we often miss when talking about games. It’s something common to the discussion of most examples of “low art”, be that television, comics, manga and anime, and to a certain extent the Hollywood film system. Subtext is generally overlooked for the more immediate thrills and instant gratification of a nice, easy plot as interpreted by the audience. There’s nothing wrong with this until such a point when an artist attempts to work with the medium at a deeper level, and then the conversational structures that we’ve built around the medium break down. The ongoing nonsense discussion about whether games, comics, and television can even "have politics" in them is a symptom of artistic mediums in which the audience doesn't prescribe works within them as art. If you look at the kind of conversations going on in literature, cinema (as opposed to the Hollywood blockbuster system), and other “high arts” - ballet, opera, theatre, sculpture and paintings, and so on - there’s a clear gap in the quality of conversations that occur around those mediums, and what we see in games. There, it’s not just about the value of the work of art as a product that’s under discussion. There’s greater texture to the analysis than a simple acknowledgement of whether the critic or individual liked the work or not. I firmly believe that for games to take their place fully among the other respected art forms, it’s important that we develop the ability to have more nuanced conversations about the games that we play. It’s fine to simply kick back and enjoy a game, but if you’re going to make claims about the quality of its narrative, textual, or thematic elements, make sure you read stuff about the themes that the game is exploring. If it’s a game steeped in Japanese history and tradition, then learn about those subjects and see how they might apply to the game. Get some introductory books on philosophy (the Pop Culture and Philosophy books are generally great, and there are many based on game franchises - Final Fantasy, Zelda, and so on). Read them. There’s a lot more to these games that you’re playing than you might even realise, and in understanding the subtexts and themes that drive games better, the enjoyment that you’ll derive from them will be that much greater.